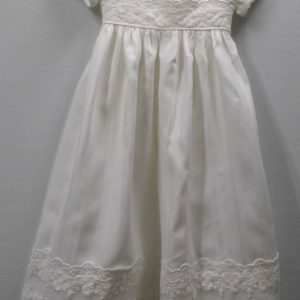 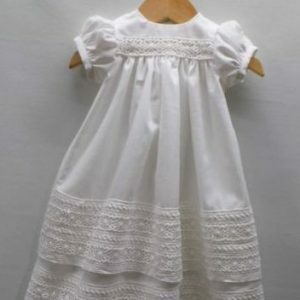 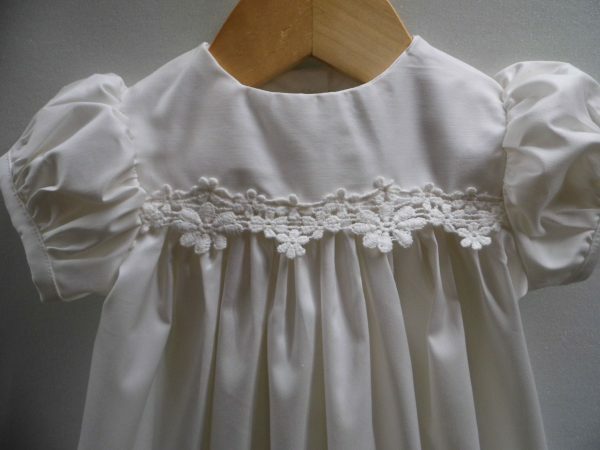 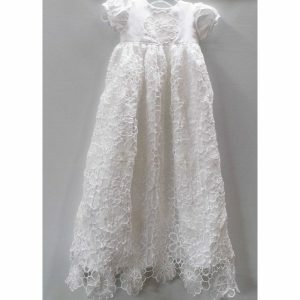 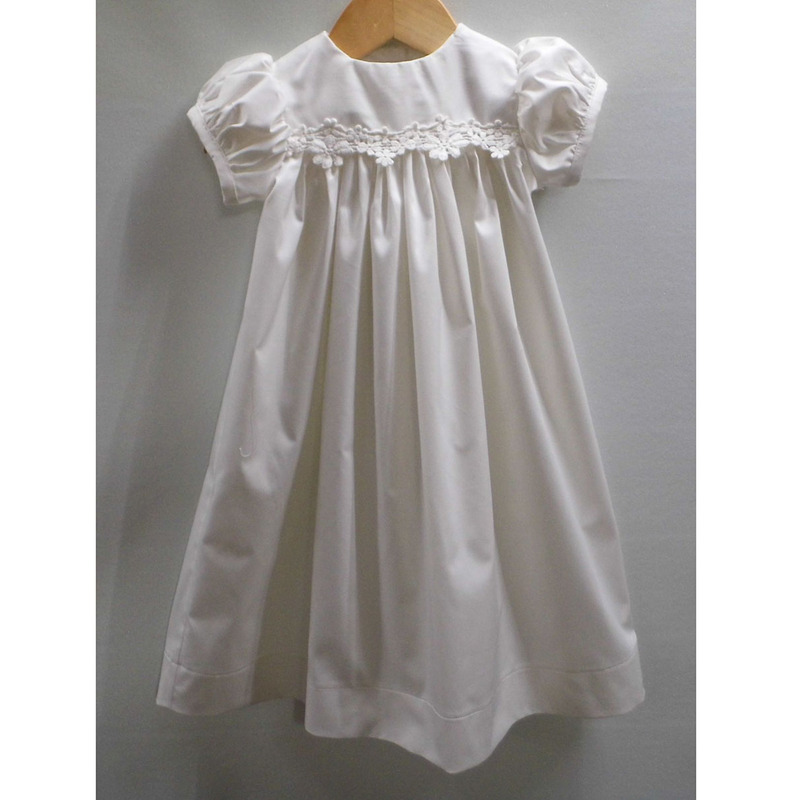 Simple elegant blessing, baptism, christening gown is 24 inches in length. The gown features a beautiful cotton embroidered lace across the front yolk and 2 buttons in the back. 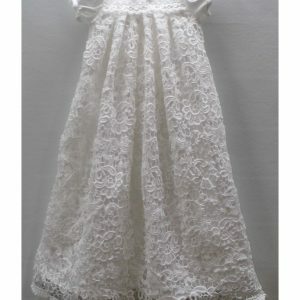 With the short puffed sleeve and flowing skirt this gown is a must if you are looking for something simple but elegant.